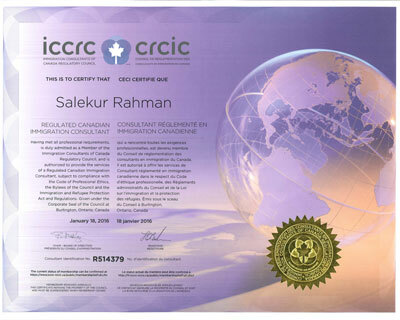 The Immigration Consultants of Canada Regulatory Council (ICCRC) is a national regulatory body that serves and protects the public by overseeing licensed immigration and citizenship consulting and international student advising professionals. Canada’s Immigration and Refugee Protection Act as well as the Citizenship Act require that anyone who provides immigration or citizenship advice for a fee or other consideration, must be a member in good standing of ICCRC, a Canadian law society, or the Chambre des notaires du Québec. 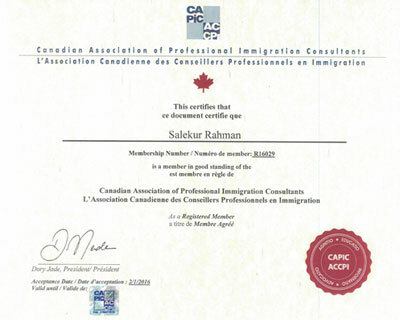 CAPIC- The Canadian Association of Professional Immigration Consultants (CAPIC-ACCPI) is the professional organisation created for regulated Canadian immigration consultants and founded on the 4 pillars of education, information, lobbying and recognition. With an immigration industry history dating back to 1986, there are undoubtedly many important milestones that have been achieved and that are worthwhile to recall. These milestones have had a tremendous influence on various immigration industry changes, and they have influenced the inclusion of a professional occupation by the title of ‘Immigration Consultant’! The vision for the implementation of CAPIC-ACCPI, has always been to create a body which will provide the strongest possible representation for immigration consultants and which will play the same role as the Bar Association does for lawyers. As THE VOICE of immigration consultants in the Canada Immigration Domain, CAPIC is committed to promoting and protecting the practice of immigration consultants. 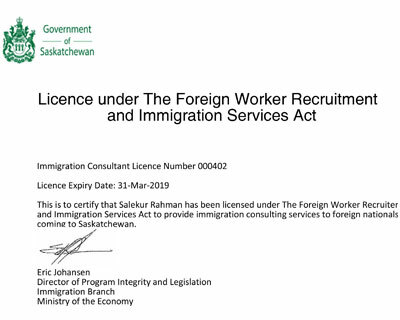 The Government of Saskatchewan introduced The Foreign Worker Recruitment and Immigration Services Act (FWRISA), on October 11, 2013. The Act protects immigrants and foreign workers from being treated wrongly or abused during the immigration and recruitment process. Immigrants, employers, recruiters and immigration consultants will benefit from this legislation and a more transparent and fair business environment. The FWRISA helps ensure immigration consultants and recruiters conduct business in an ethical manner. These representatives must be licensed under the FWRISA before they can practice in Saskatchewan. The Foreign Worker and Immigration Services Act (FWRISA) discourages unethical practices and protects foreign workers from exploitation and mistreatment during the recruitment and immigration process. It also brings transparency and accountability to immigration consulting and recruitment services.Violating the FWRISA can result in licence being revoked, fines up to $50,000 for an individual and $100,000 for a company and, in extreme cases, up to one year in jail for an individual. Licensees are subject to audit to ensure compliance with the FWRISA and to investigation if complaints are made of possible FWRISA violations.